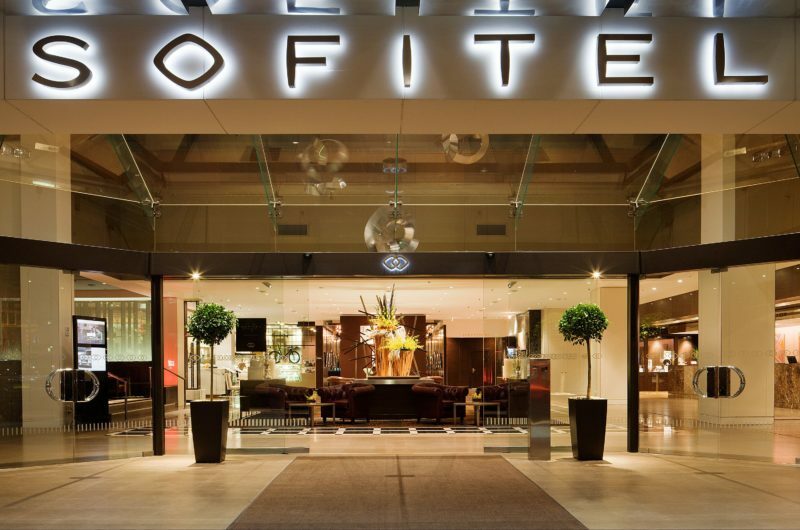 Positioned in the city centre is the magnificent Sofitel Brisbane Central. 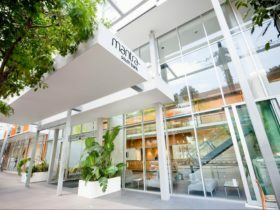 Originally the first international hotel in Brisbane, today you will discover a hotel of refined French elegance and personal service. Renowned for its imposing arrival and breathtaking views, the hotel’s reputation as the leading choice in luxury accommodation is absolutely deserved. 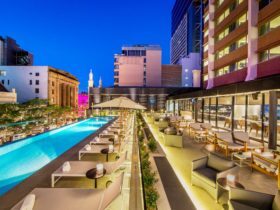 The hotel features 433 guest rooms, a luxury spa retreat, heated pool, SoFit gymnasium, Club Sofitel – one of the largest club lounges in Australia, Cuvée Lounge Bar and two restaurants; Thyme Interactive Restaurant and the award winning Privé 249. 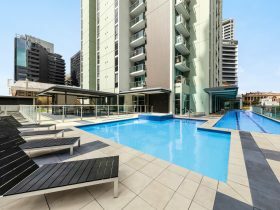 Sofitel Brisbane Central is walking distance to major shopping centres, Eagle Street Pier, the Brisbane River, Southbank Parklands and Convention Centre. 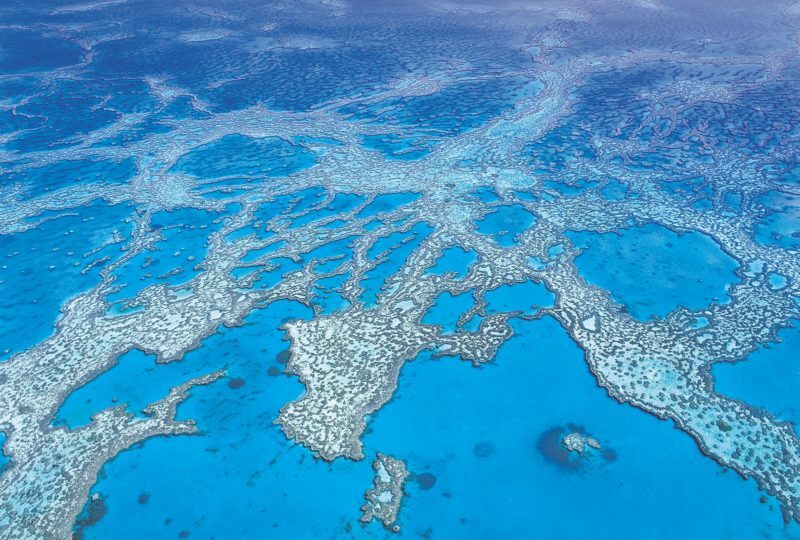 The hotel has direct access to Central Station providing convenient transport to the domestic and international airports, Sunshine Coast and the Gold Coast. 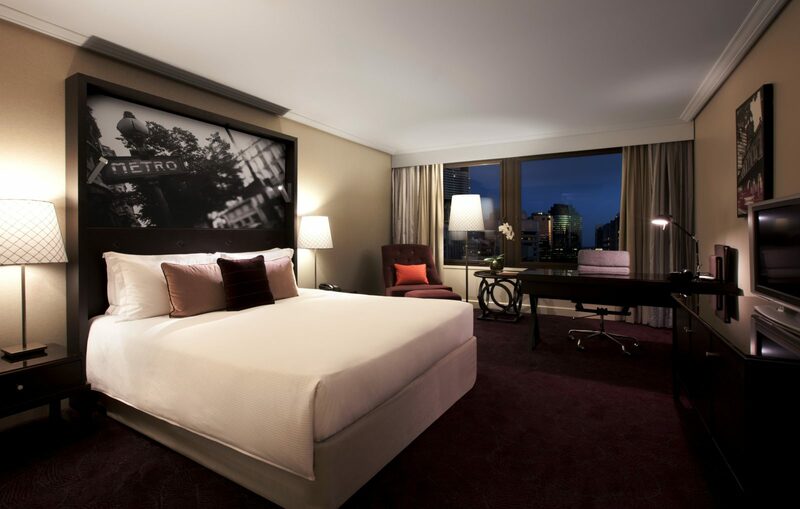 Experience signature Sofitel luxury in a spacious superior room. Superior rooms reflect sophistication through an understated blend of warm tones, rich velvet fabrics and dark chocolate finishings. 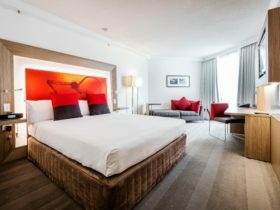 Each room features Sofitel MyBed king or double/double bedding, Lanvin amenities, LCD television, newspaper, use of the heated pool and spa and SoFit Gymnasium. Through the colour palette, lighting and furnishing, Club Rooms are designed to make guests feel relaxed and at ease. With a luxuriously homely Parisian décor, magnificent views of the city’s skyline, the finest amenities and access to our exclusive Club Sofitel Lounge, Club Rooms are the prime option for a sophisticated traveller. Each room features Sofitel MyBed king or double/double bedding, Lanvin amenities, LCD television, newspaper, use of the heated pool and spa and SoFit Gymnasium. 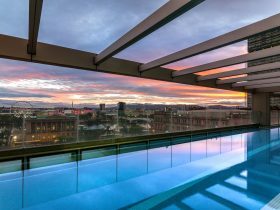 Your luxurious high floor accommodation includes exclusive access to the Club Sofitel Lounge on Level 30 with pre dinner drinks and canapes, hot club breakfast and AUD15 valet parking. 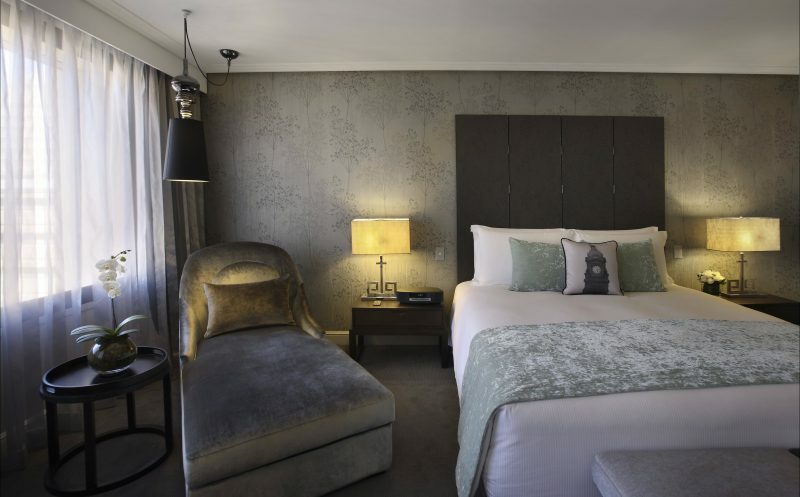 Luxury rooms offer a spacious open-plan layout with exceptional views over the bustling city or serene mountain views. The design blends the contemporary feel of the modern world with refined French Elegance. Highlighting elegant furnishings, velvet accompaniments and the finest amenities, these rooms are designed for both business and leisure travellers.